West Coast Classics are proud to present an absolutely exceptional and beautiful example an original southern California owner and Los Angeles built and very desirably highly factory optioned for the muscle car enthusiast 1968 Chevrolet Camaro SS 396 2 Door Hardtop with its original matching #'s L34 396/350HP 4 Bl V8 engine matched to a Muncie 4 speed transmission and a 12 bolt 3.55:1 'P code' axle ratio 370 Posi-Traction differential rear end in its original and highly striking and rare factory 'Fathom Blue Metallic' (Code E) color paint with factory delete vinyl roof and with it's original and complimentary deluxe 'Blue' Bucket Seats (Trim Code 719) color interior, factory SS option package with original steering wheel and SS hood with chrome hood inserts that imitated velocity stacks, front seat console with optional gauges, dual exhausts and power front disc brakes! 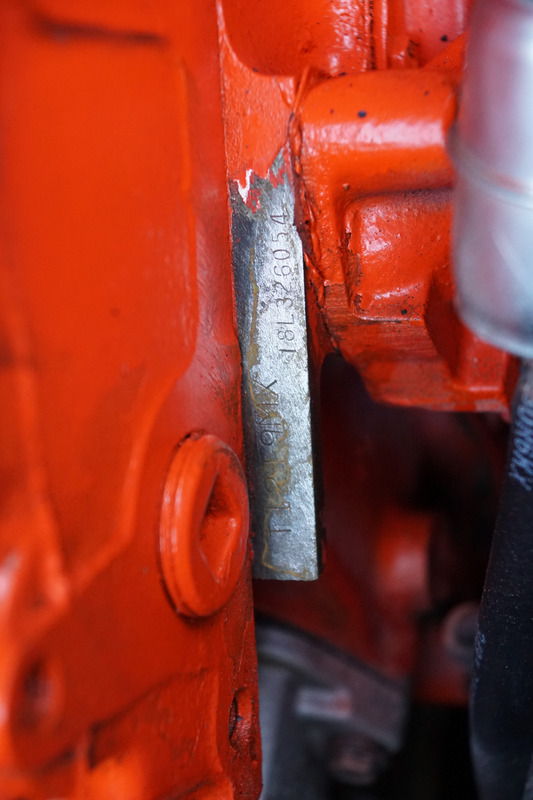 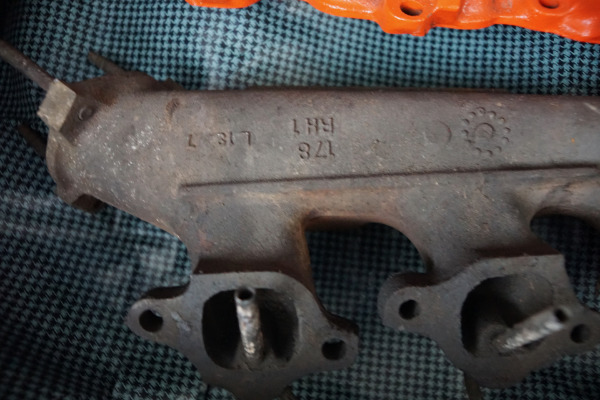 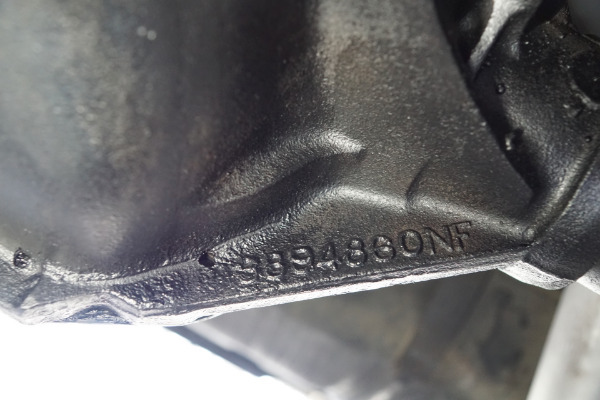 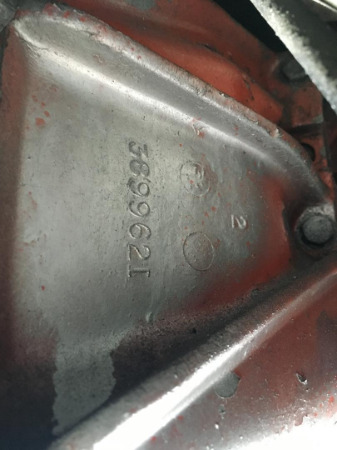 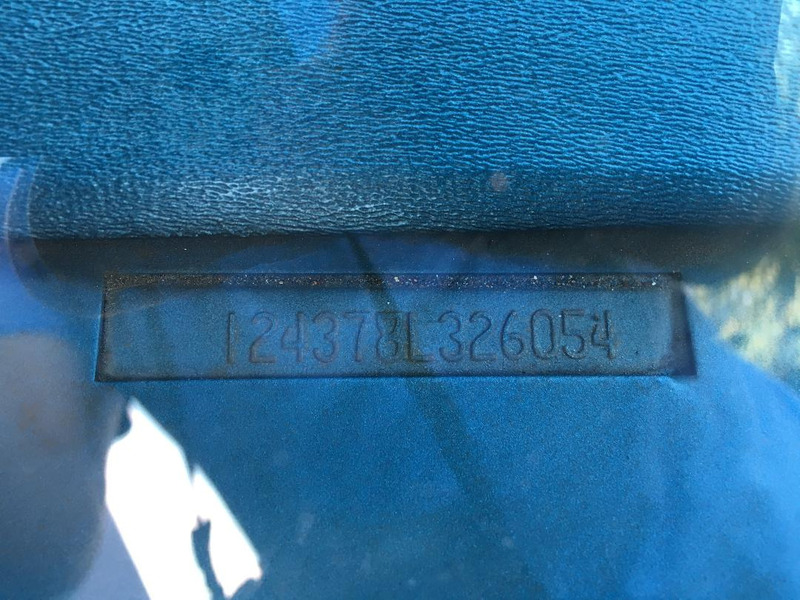 This particular car has it's original MX code (1968-70) legendary Big Block matching #'s SS396 L34 engine which is correctly and very desirably matched to it's original Muncie 4 speed Wide ratio manual transmission with the correct 3925660 casting # date code and it's original tail shaft housing casting # 3857884 and bell housing casting # 3969621 and the car rides on it's also highly desirable casting # 3894860 12 bolt axle with multi-leaf springs and a Posi-Traction limited slip differential rear end. 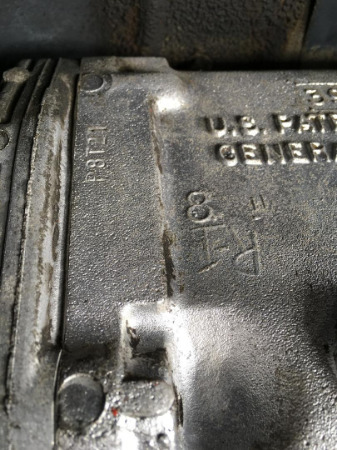 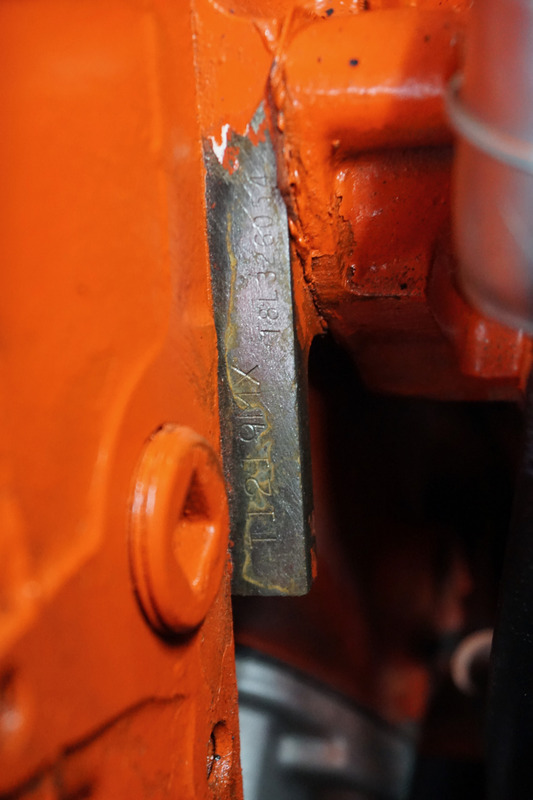 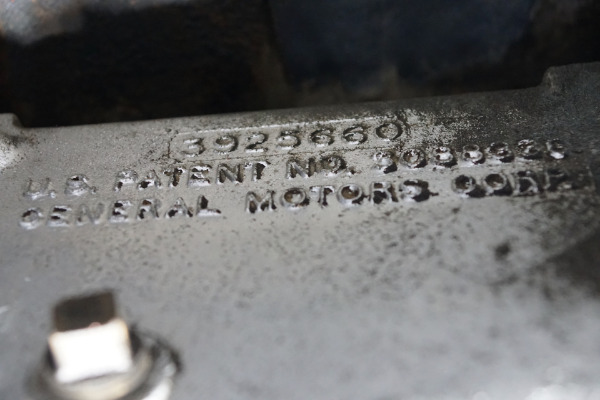 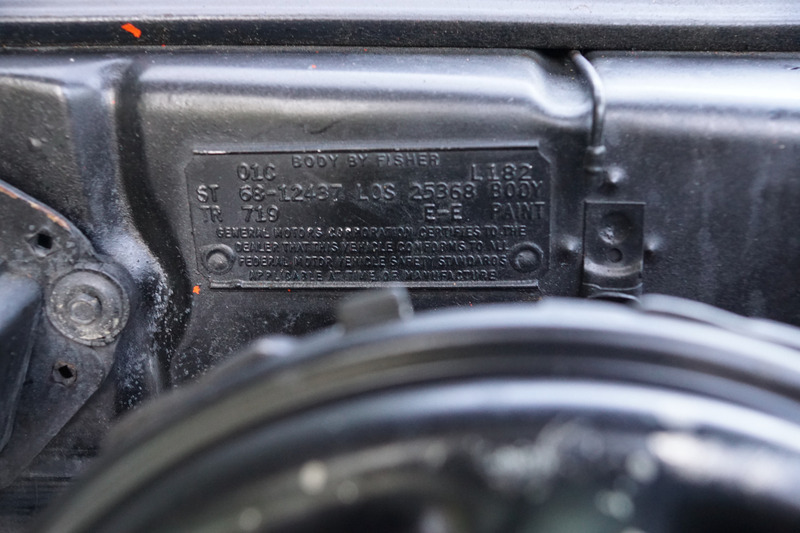 The engine pad stamp reads T1219MX - 18L326054. 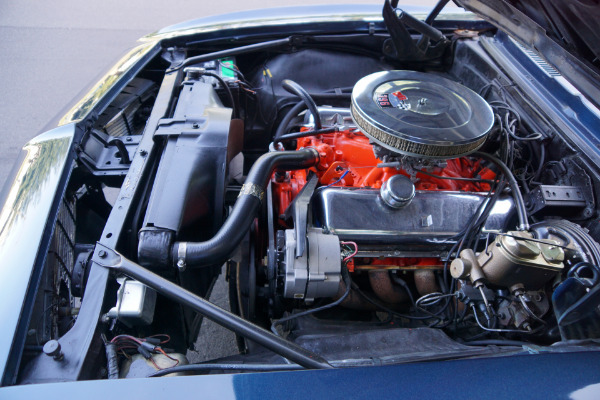 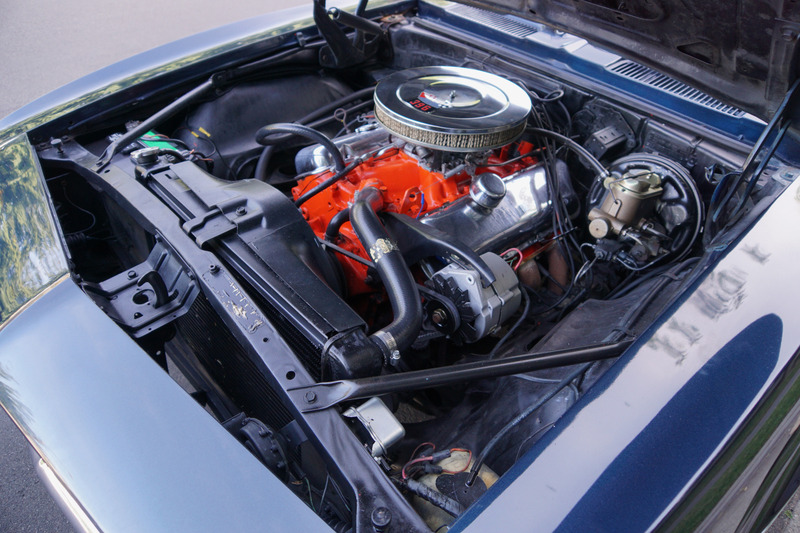 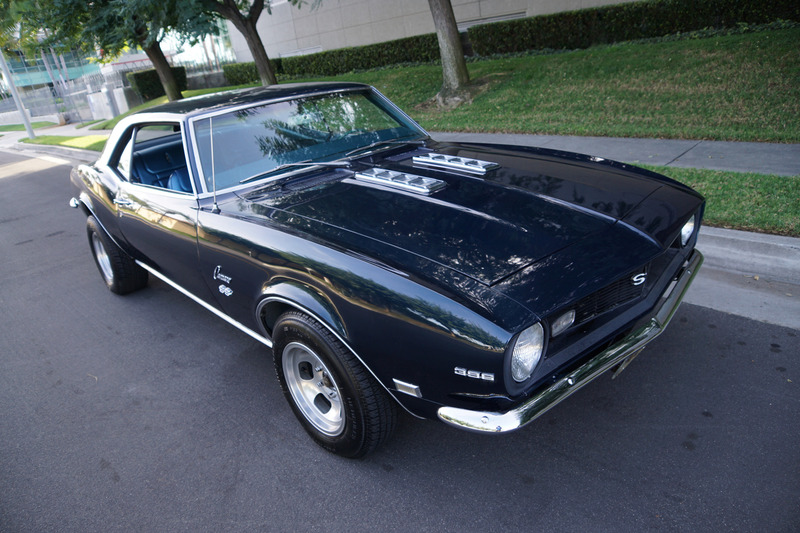 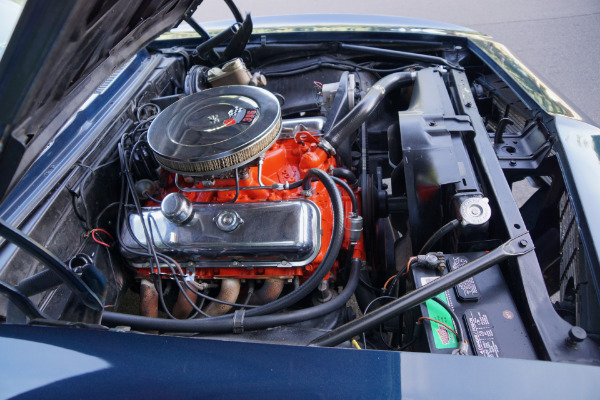 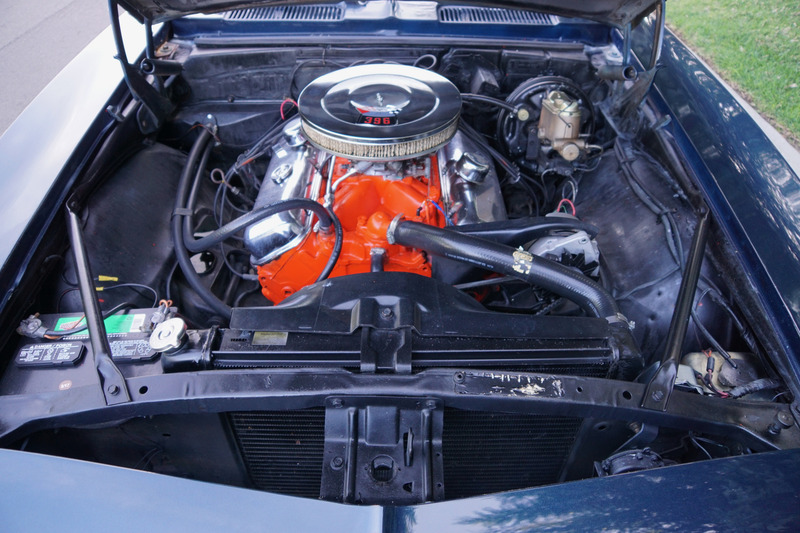 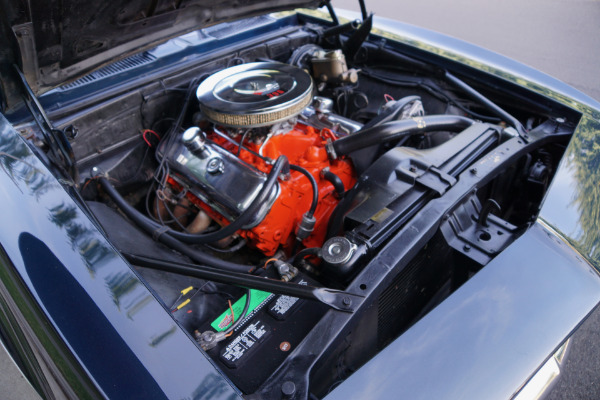 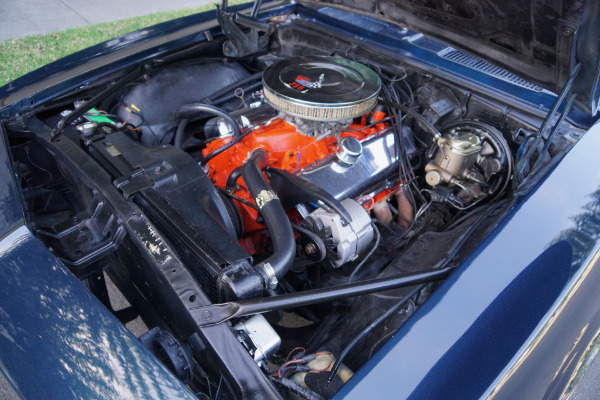 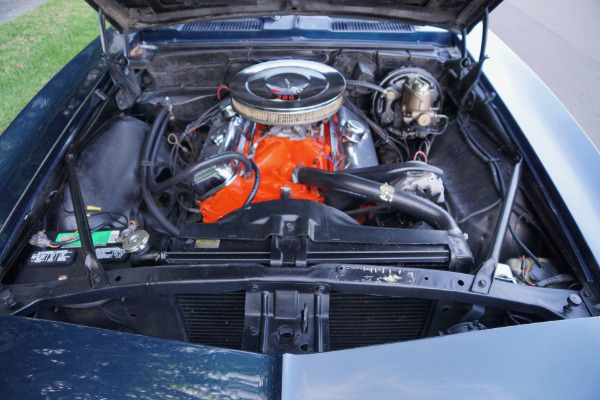 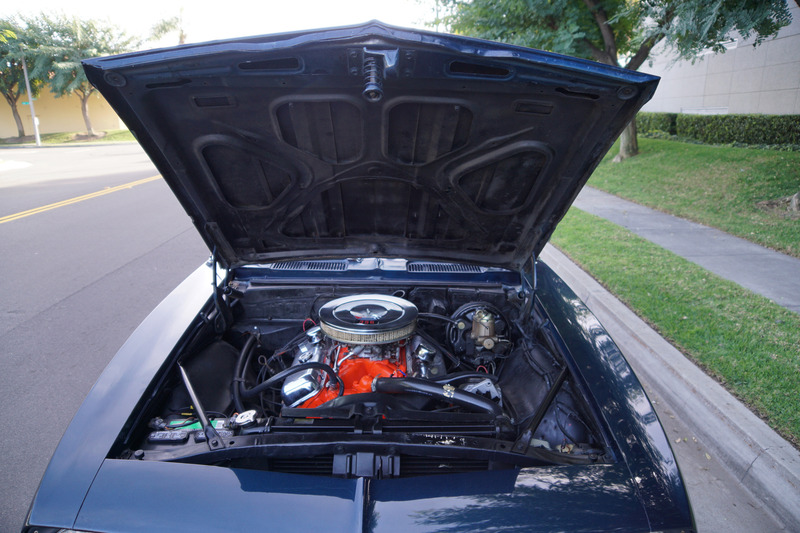 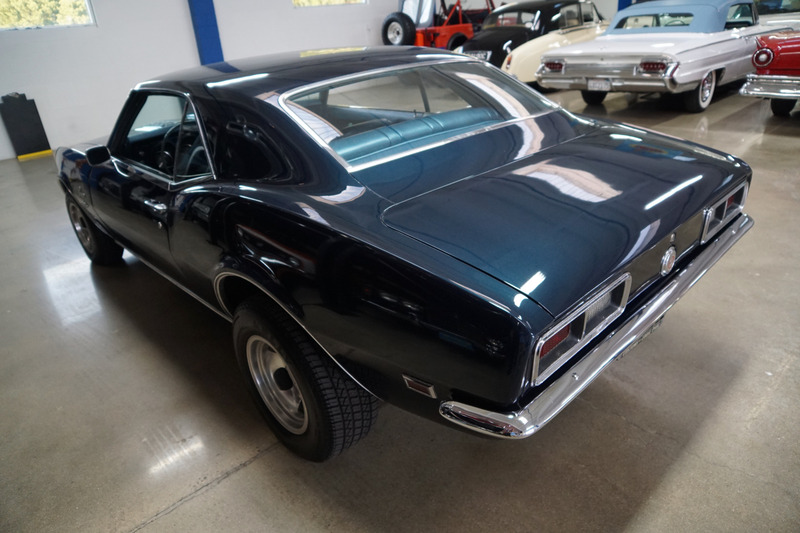 In 1968 the Camaro was offered for the first time with the new 396/350HP Big Block V8 engine, so now the Camaro was available both as a base model sports coupe or an asphalt eating Super Sport ready for the drag strip with a Big Block 396 V8 engine! 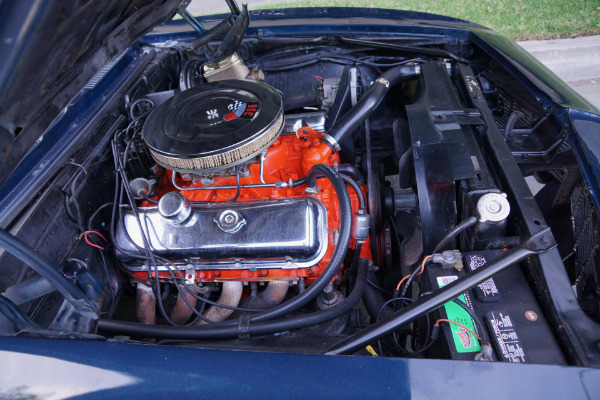 The 2 speed Powerglide automatic tansmission was standard and a 3 speed Turbo Hydramatic was optional, also two manual transmissions were optional, a 3 speed or the most desirable today amongst muscle enthusiasts, the legendary Muncie built 4 speed. 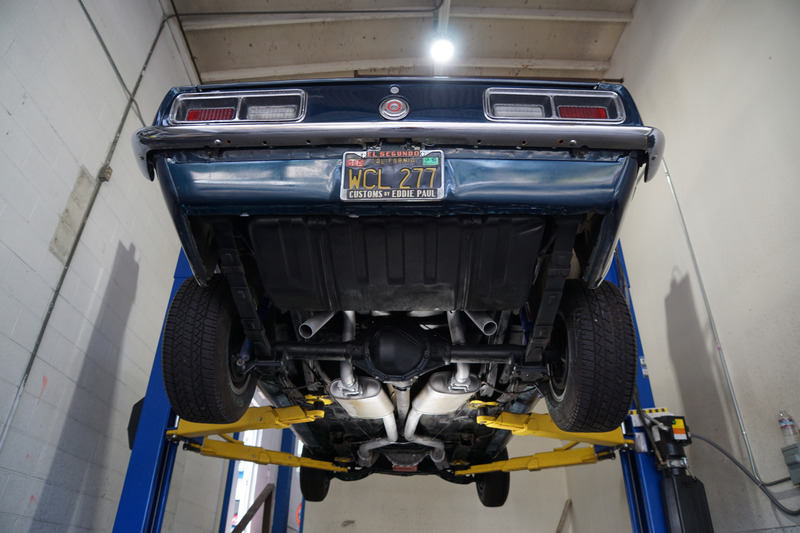 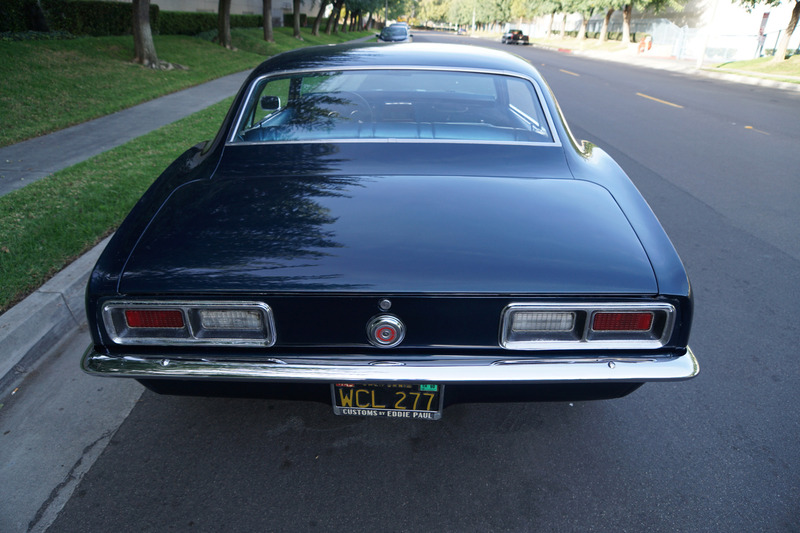 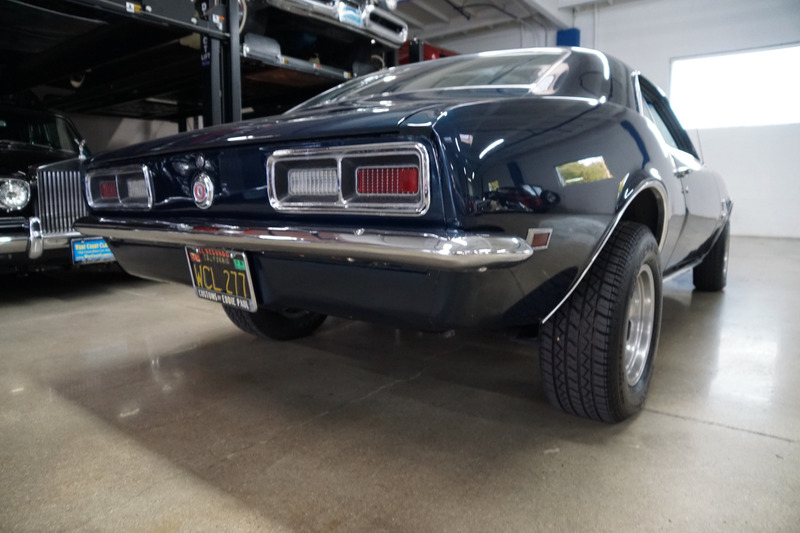 This particular car was built in Los Angeles, CA where it was originally sold to it's first and only California owner! 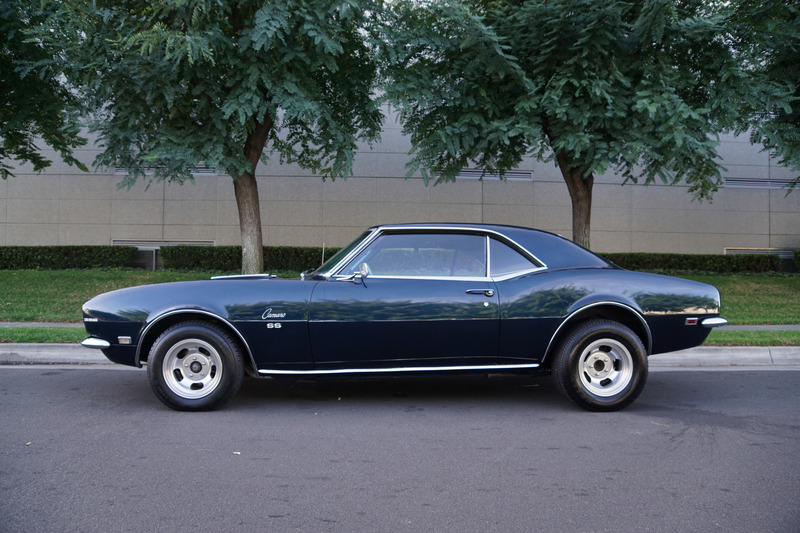 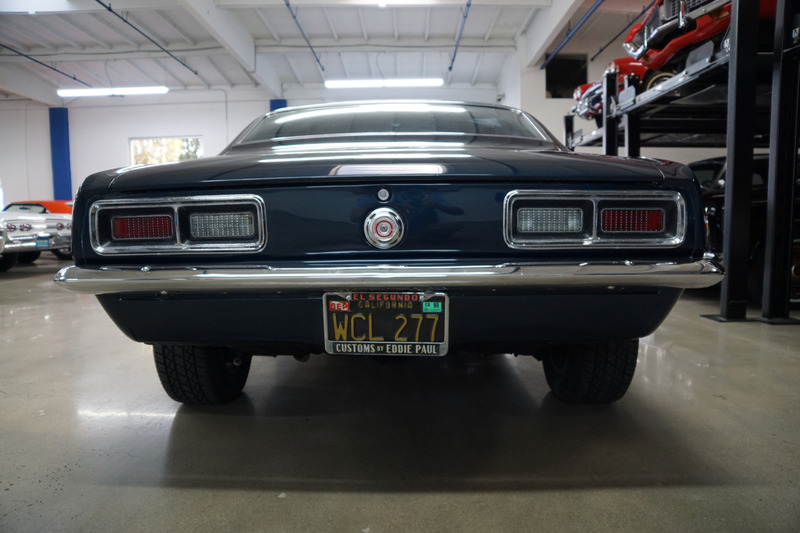 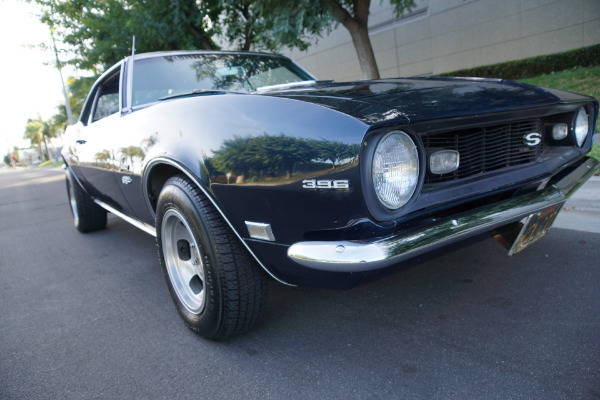 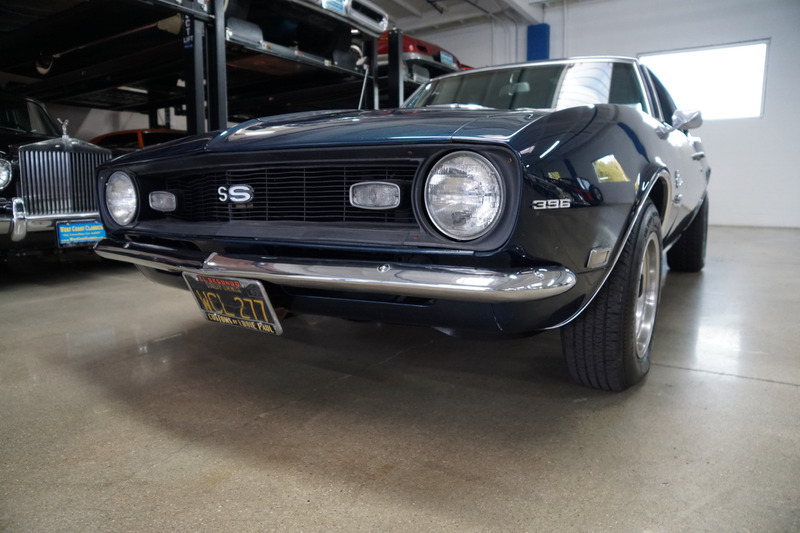 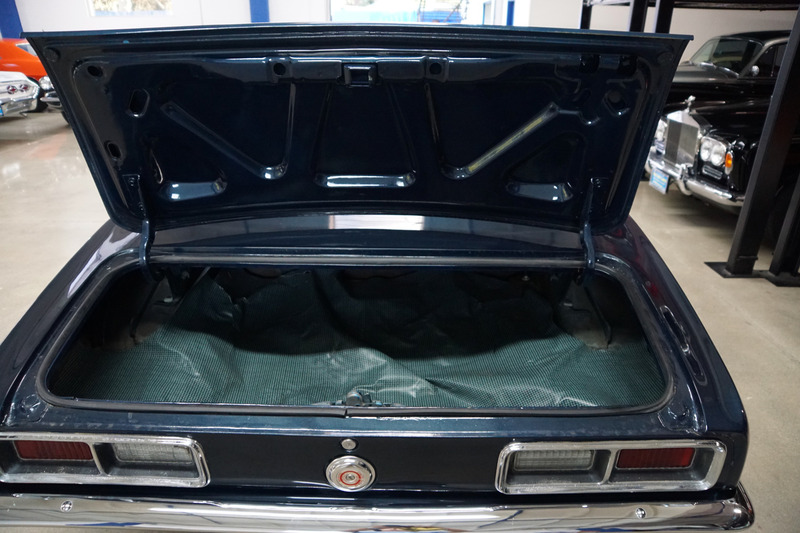 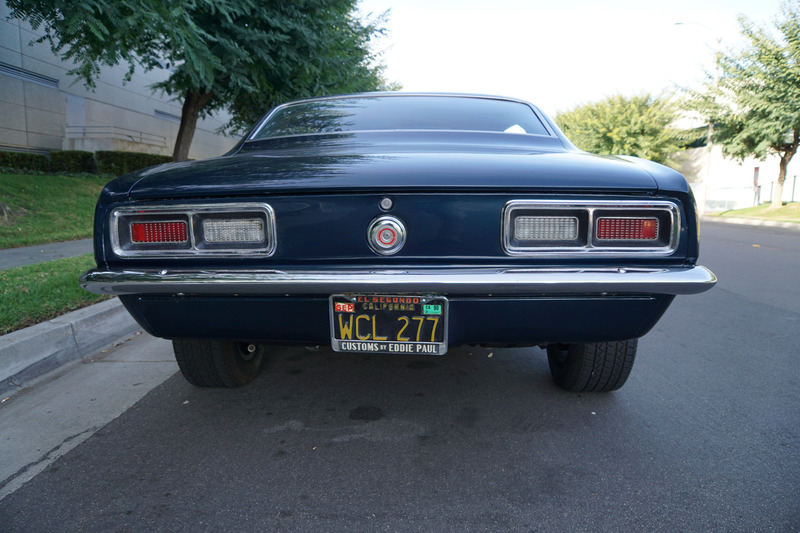 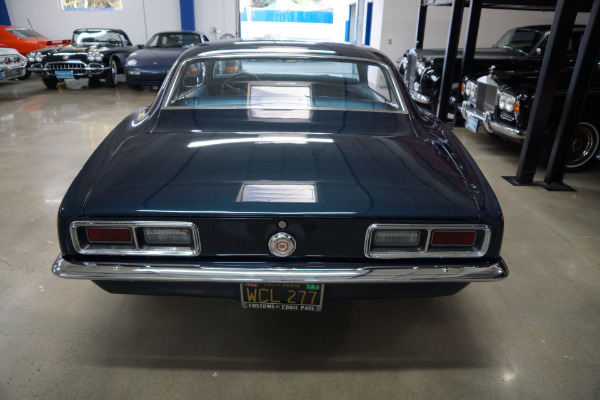 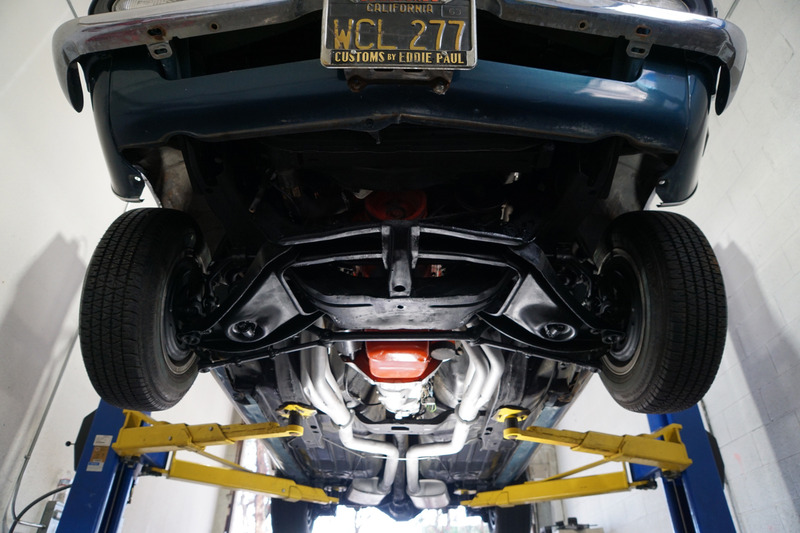 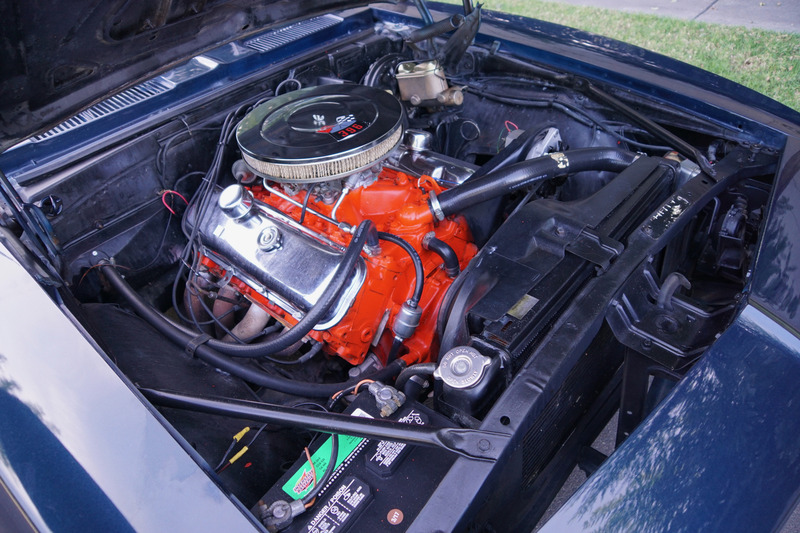 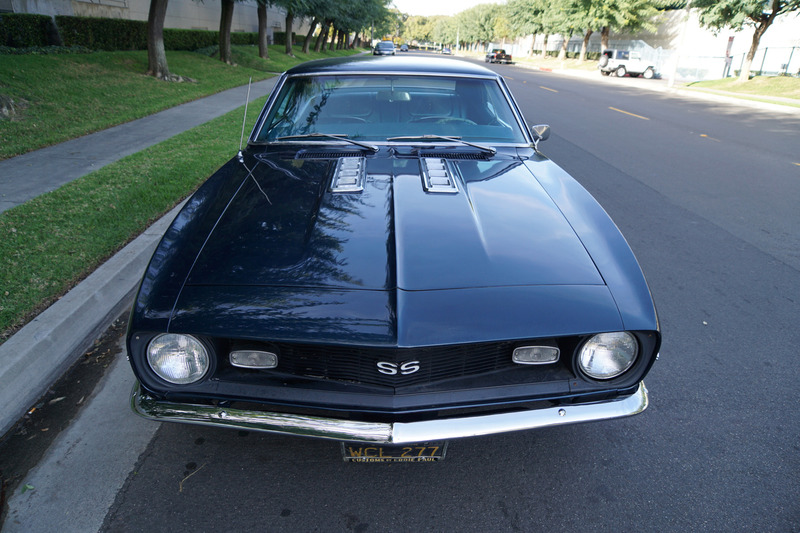 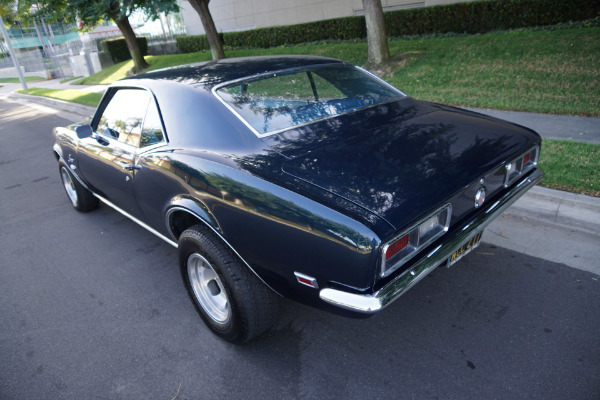 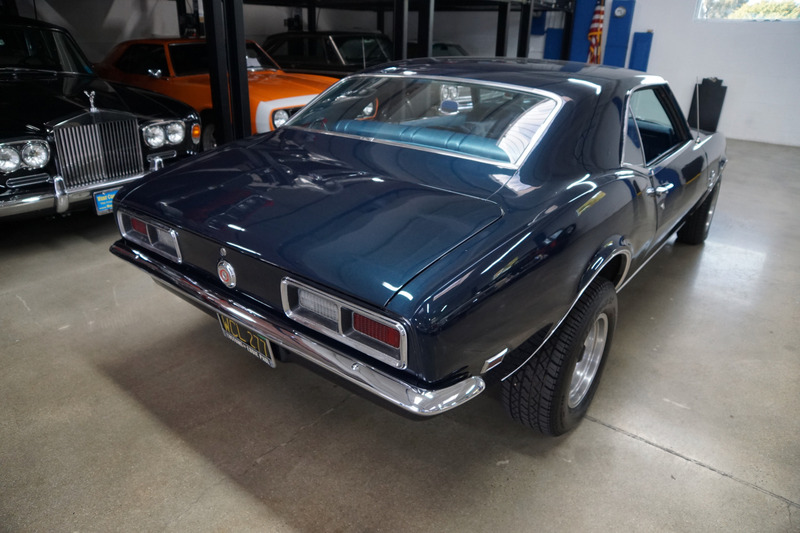 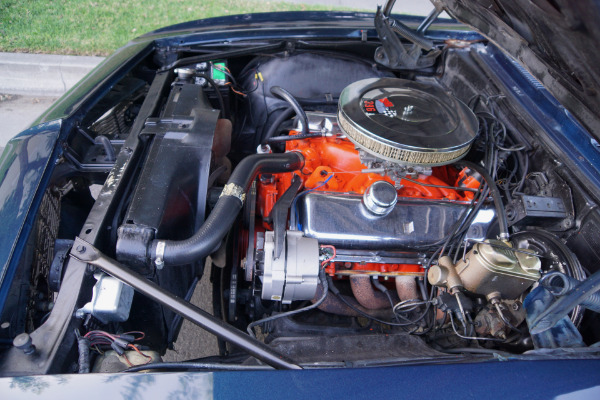 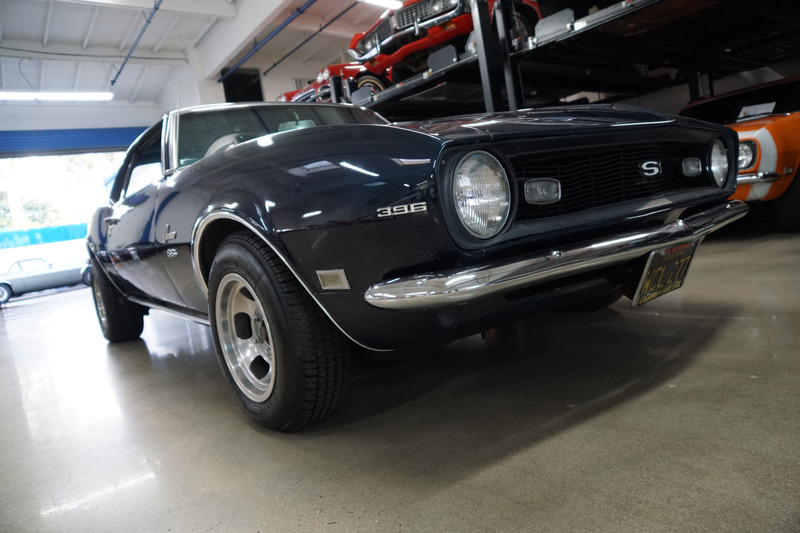 Probably one of the very few original owner Camaro's still in existence, let alone an SS with the $827 option of the L34 Big Block 396/350HP V8 engine matched to a 4 speed Muncie transmission and a 12 bolt Posi-Traction limited slip differential rear end! 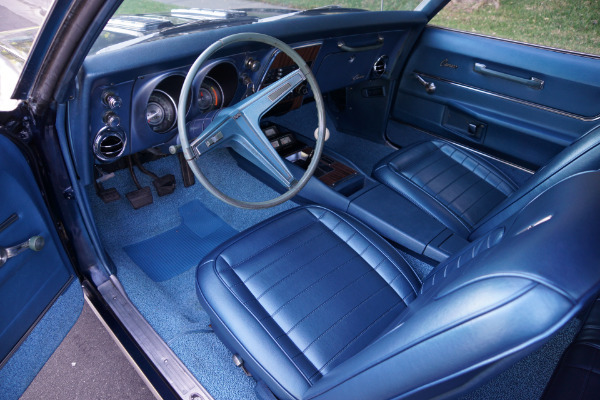 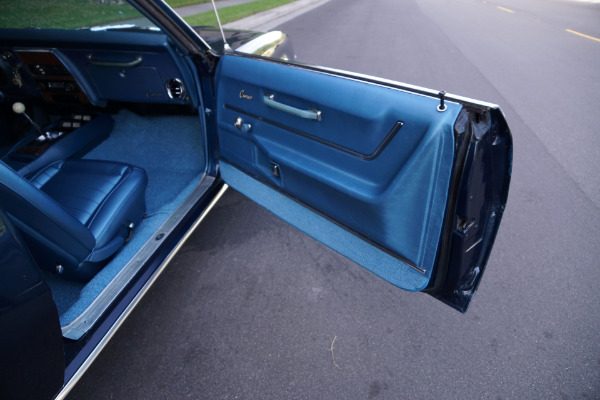 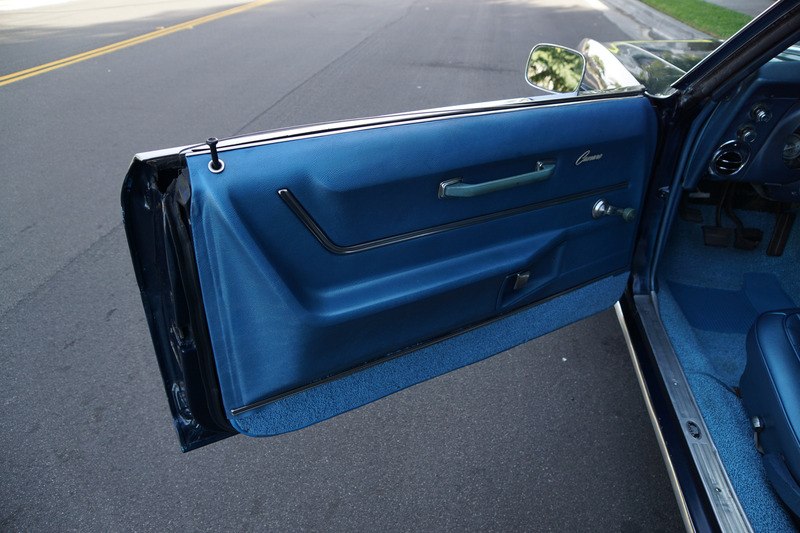 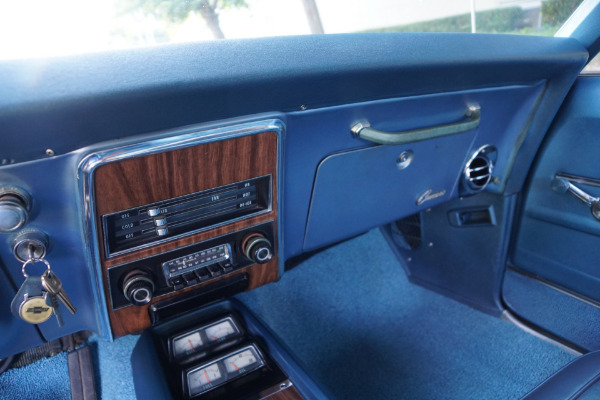 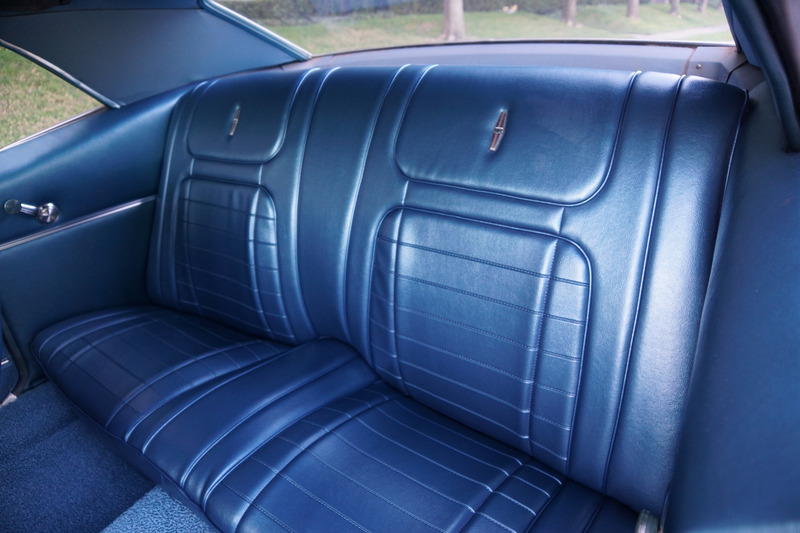 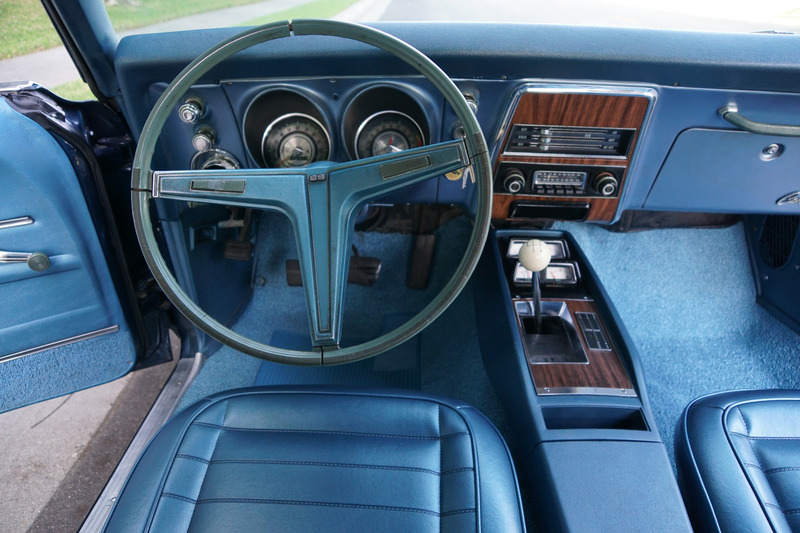 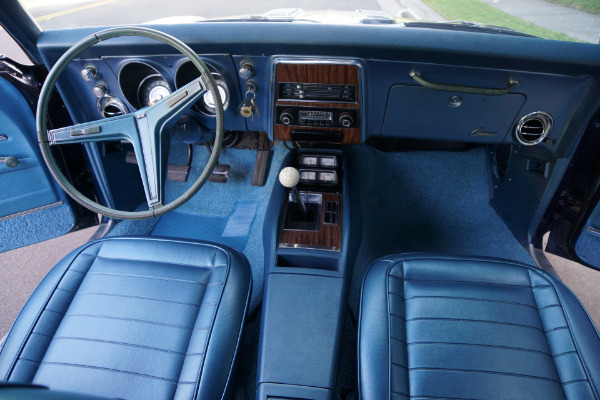 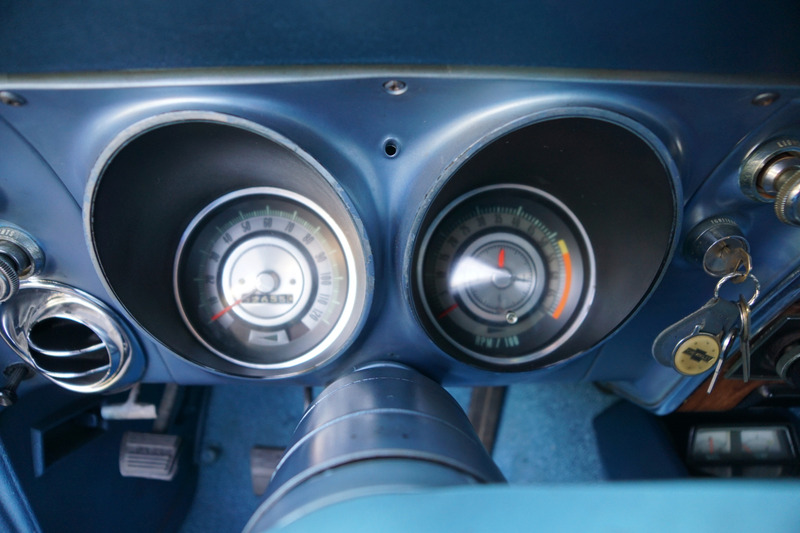 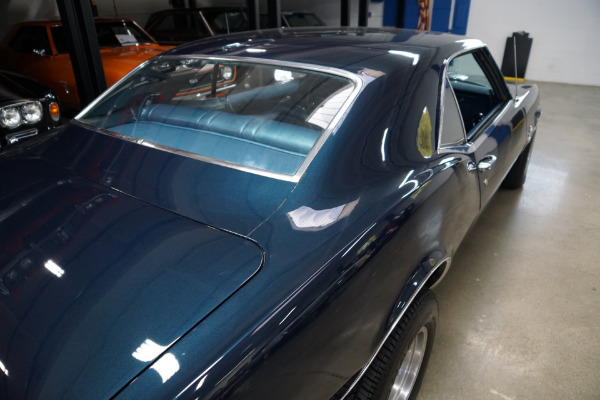 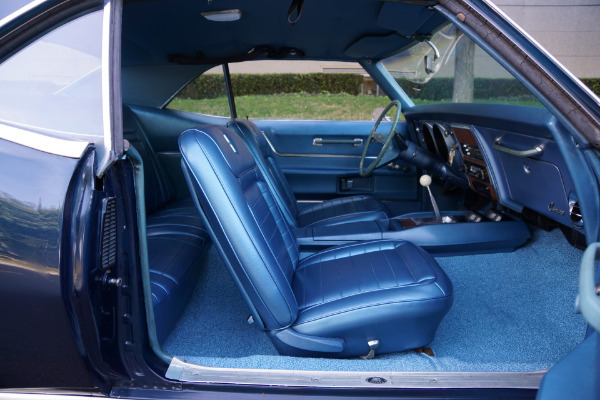 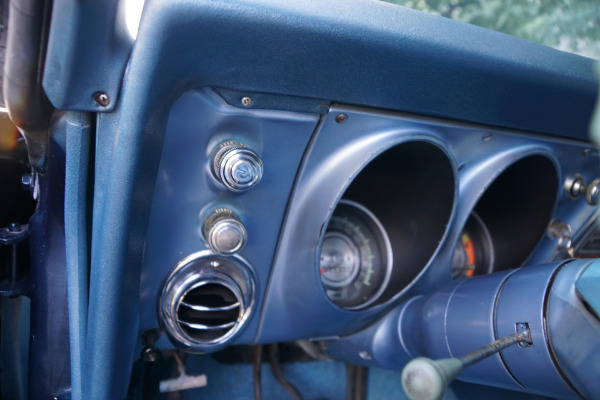 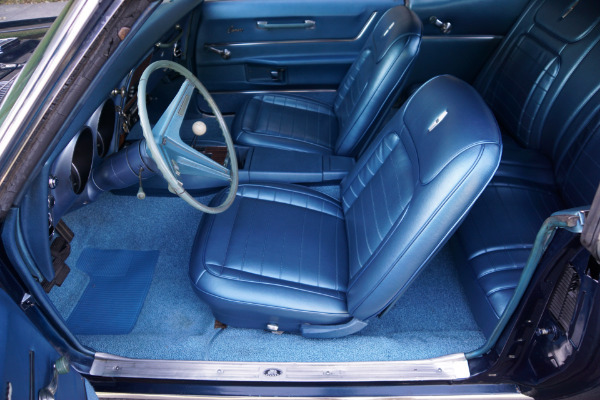 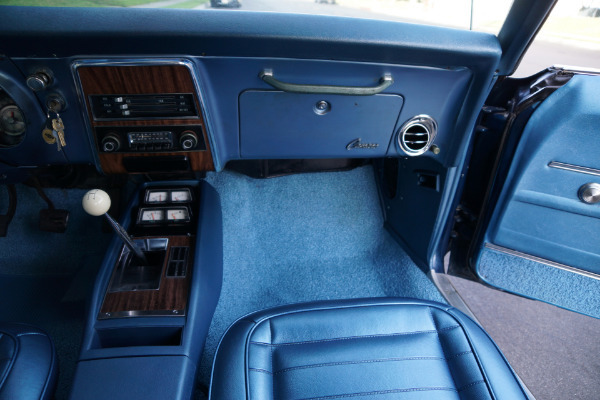 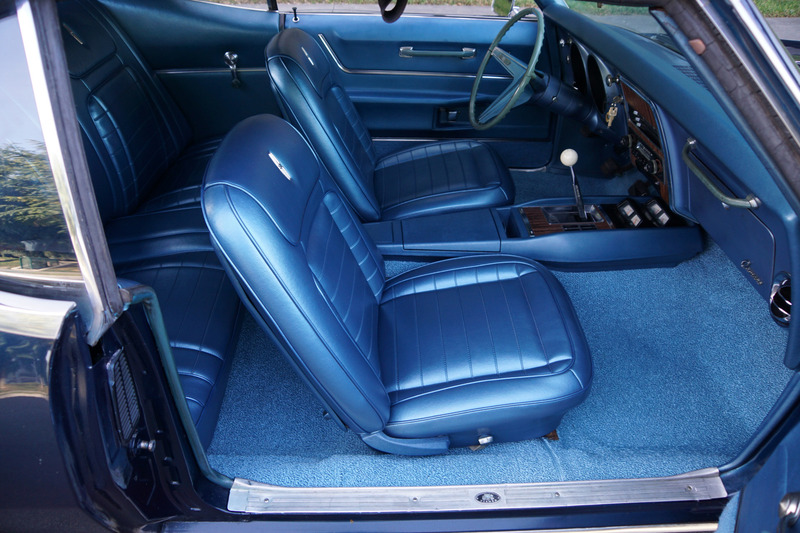 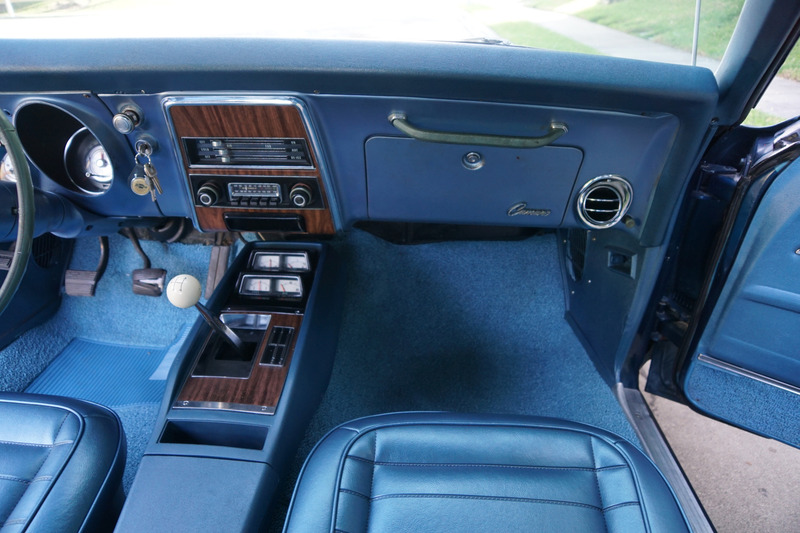 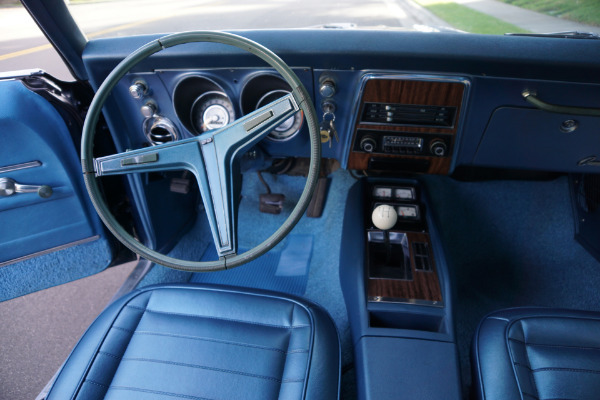 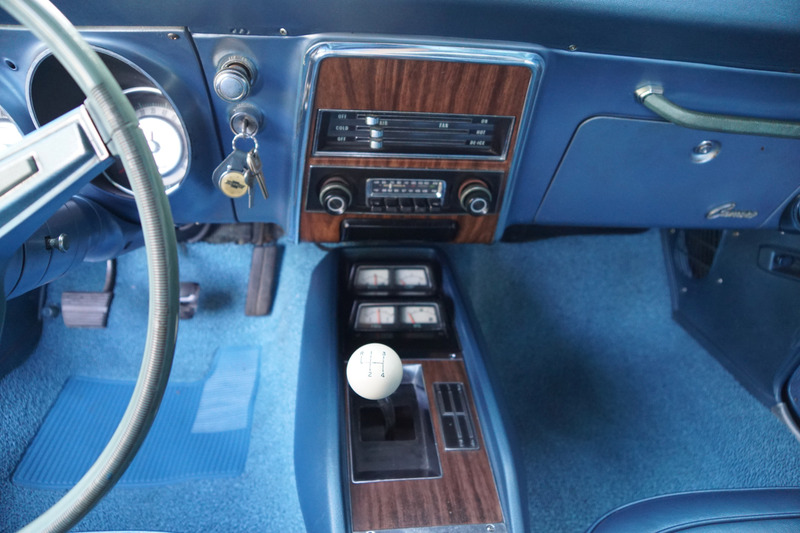 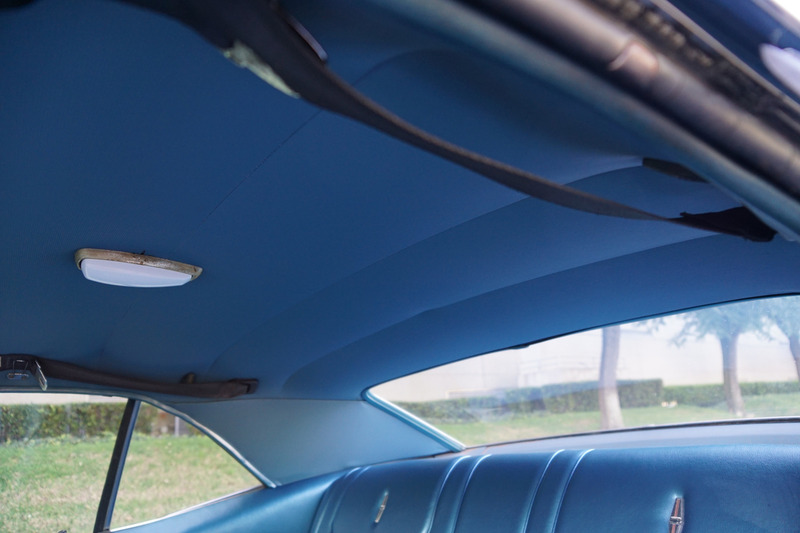 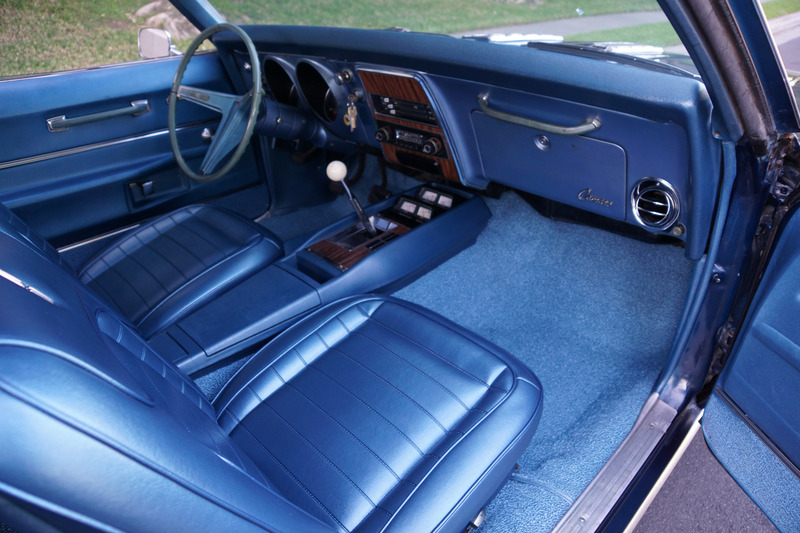 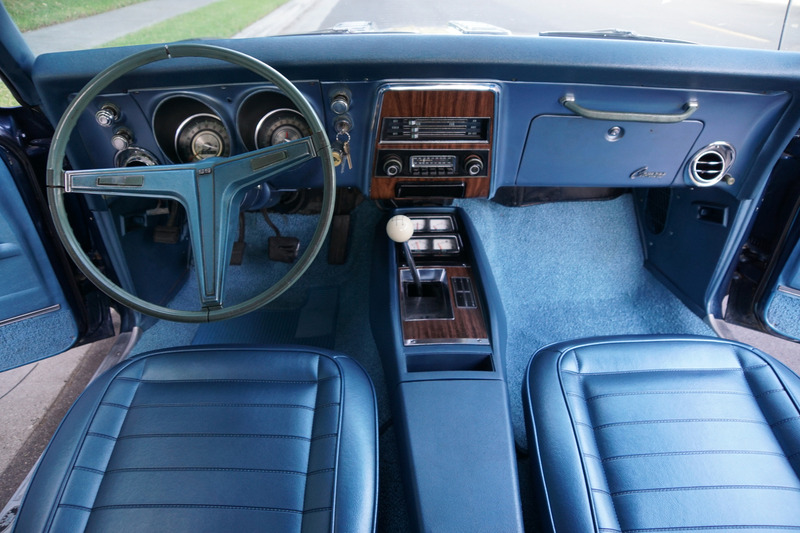 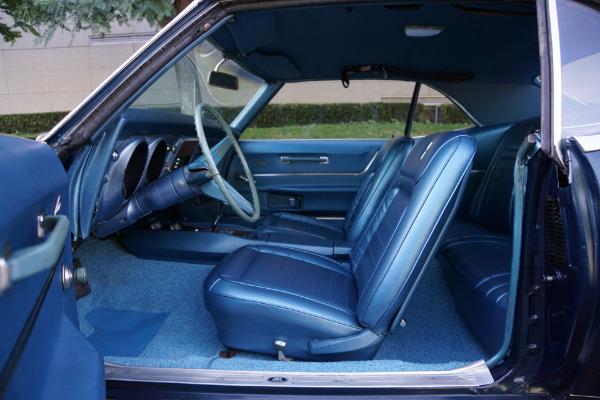 The car has had one recent repaint in it's original factory color Fathom Blue Metallic paint and the original Blue bucket seats color interior is also in great condition and the car boasts its original factory AM/FM radio! Please note that the car's original owner had the engine rebuilt less than 5,000 miles ago and it was bored .040 over TRW Cast Dome Pistons and bearings with a relieved chambers Isky Cam kit, Edelbrock intake manifold and Holly 780 carbs, a high performance Hedman exhaust with the car now reportedly dyno tested at over 425 bhp. 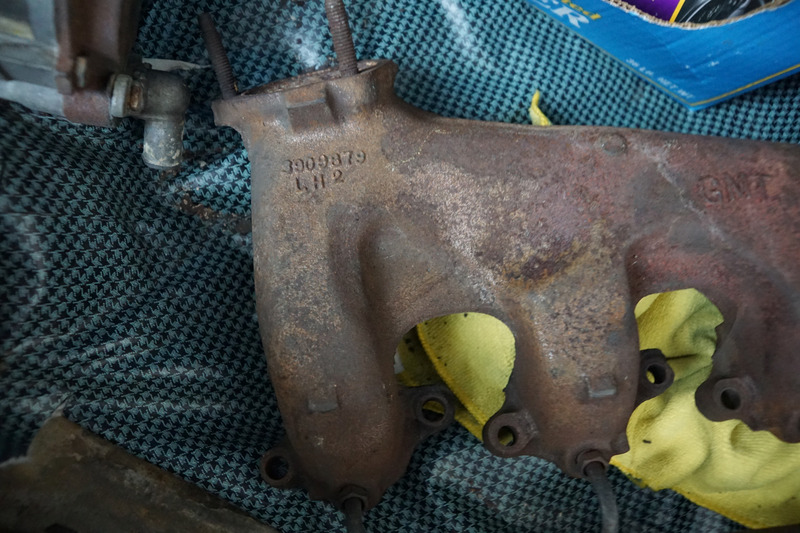 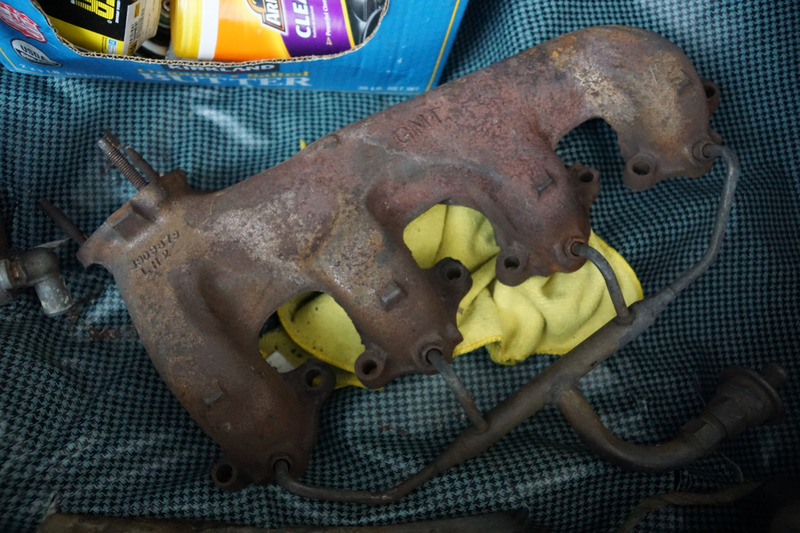 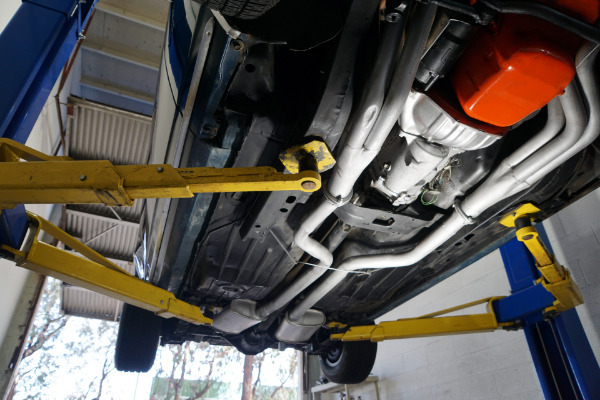 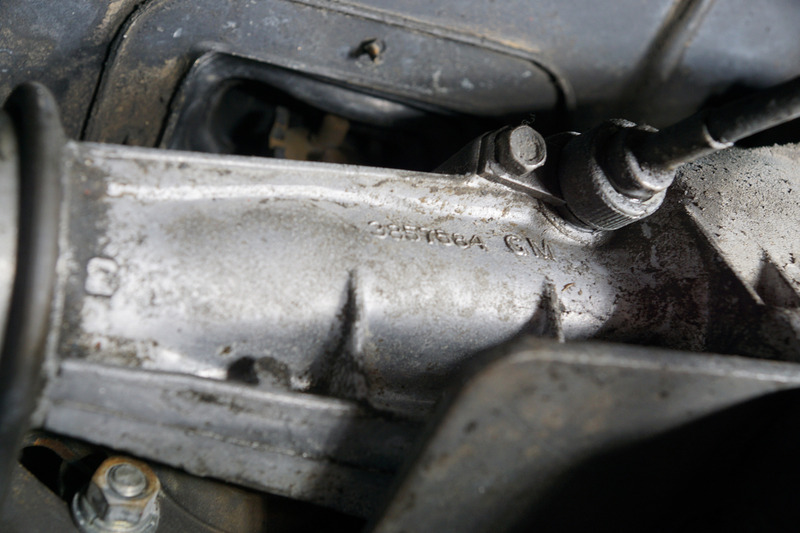 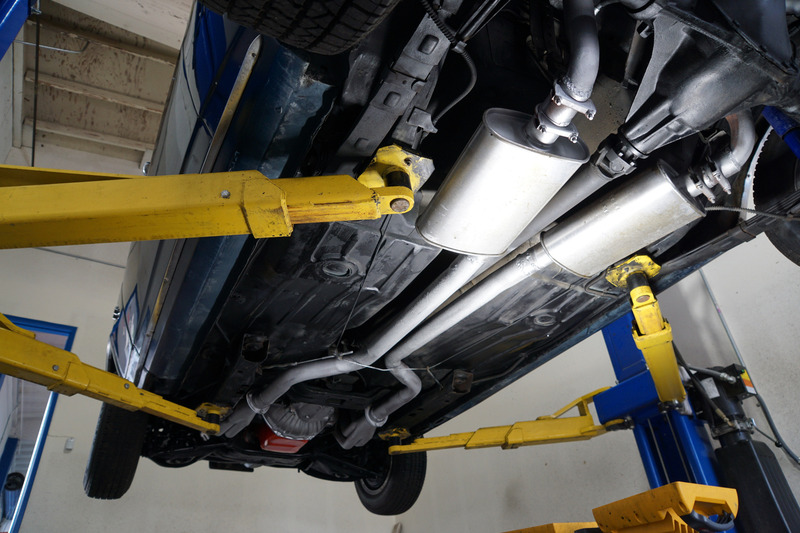 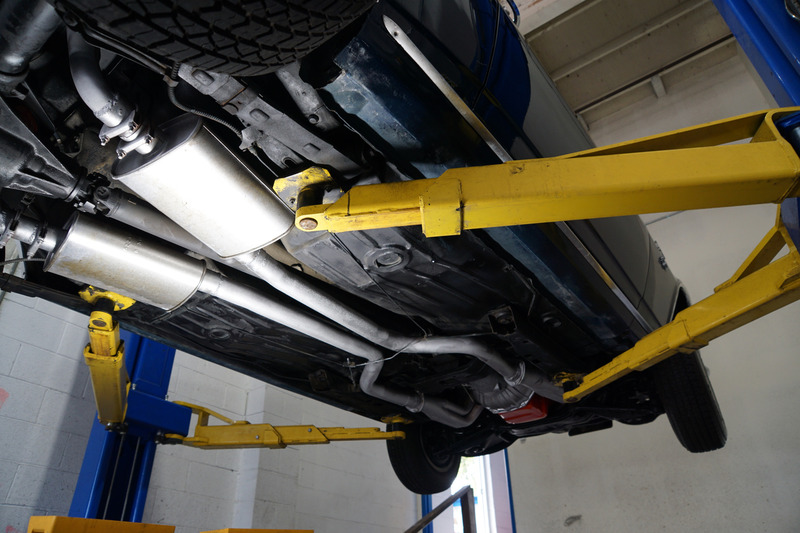 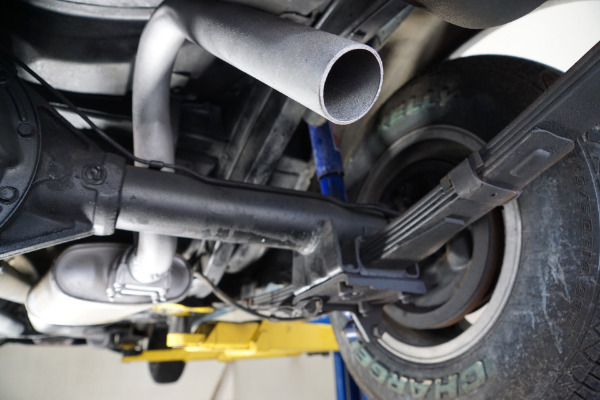 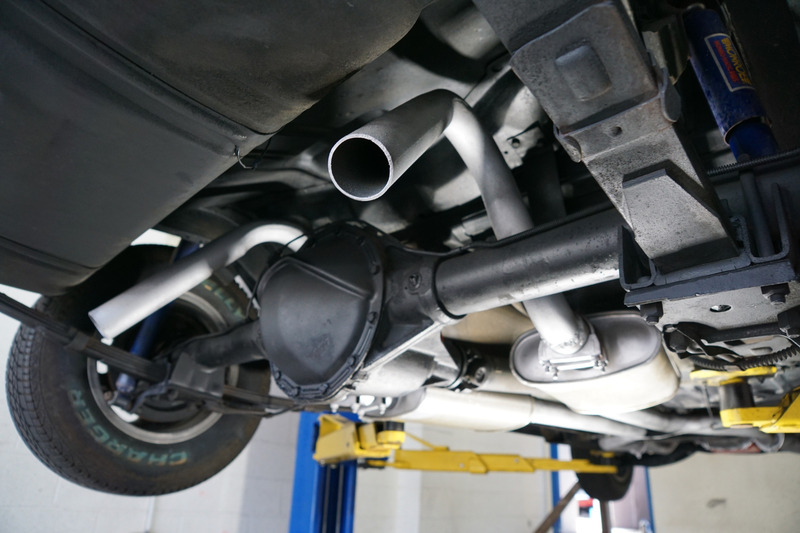 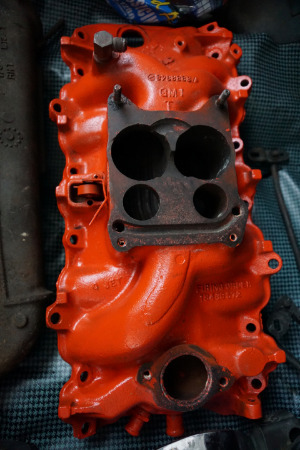 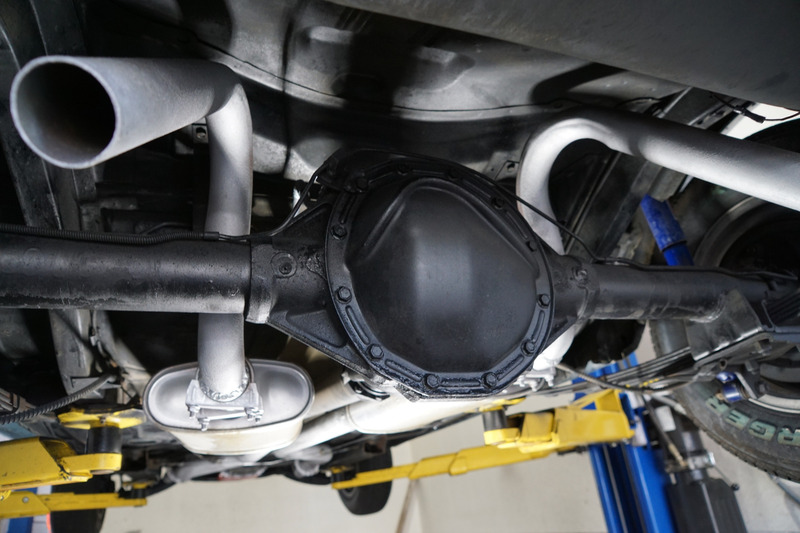 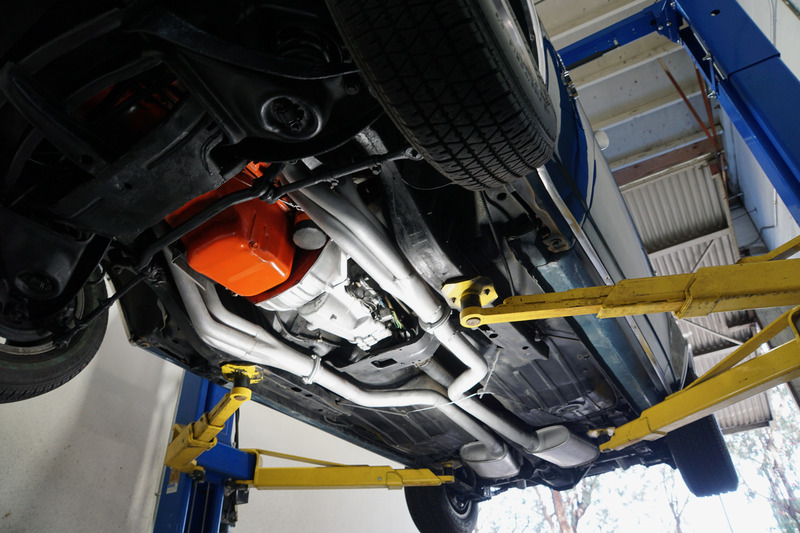 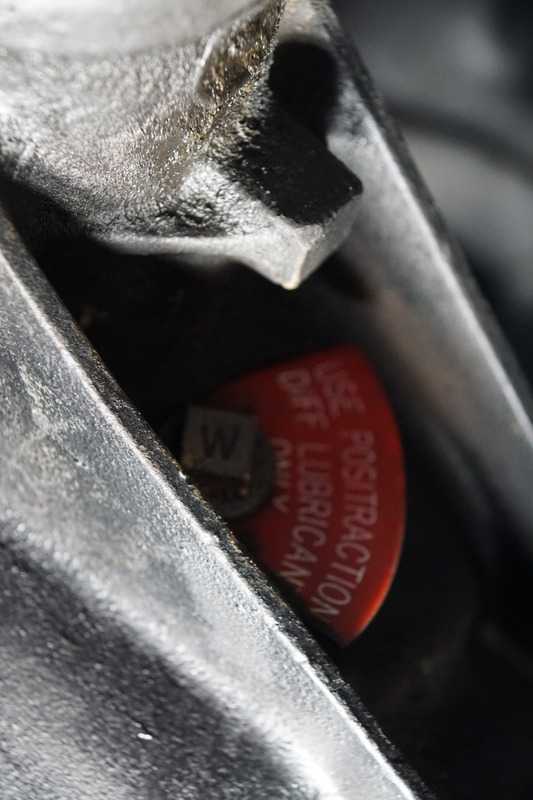 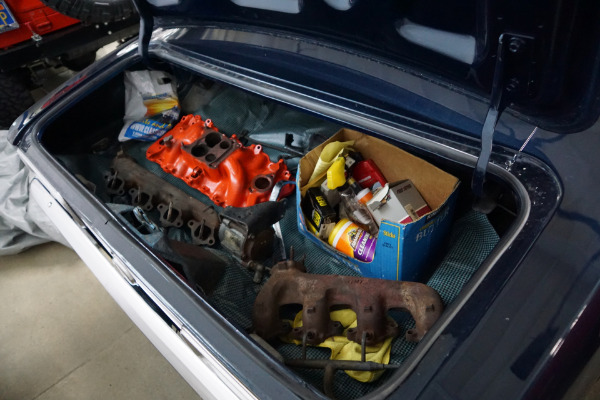 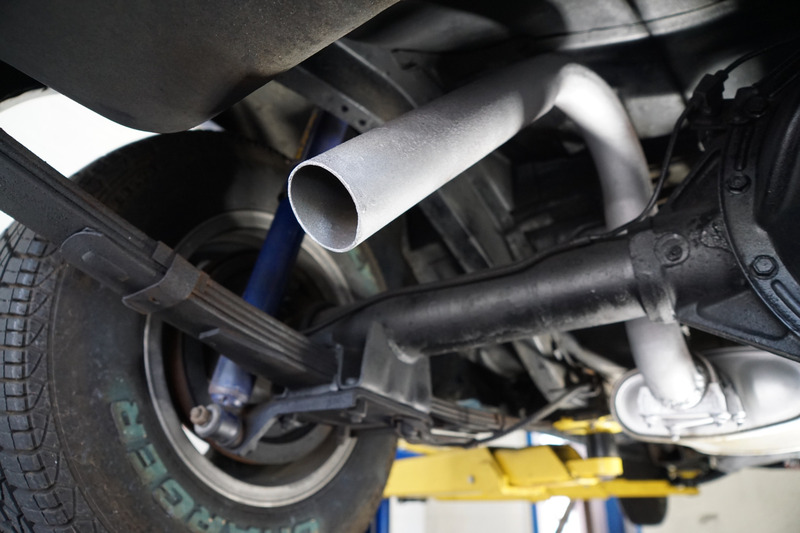 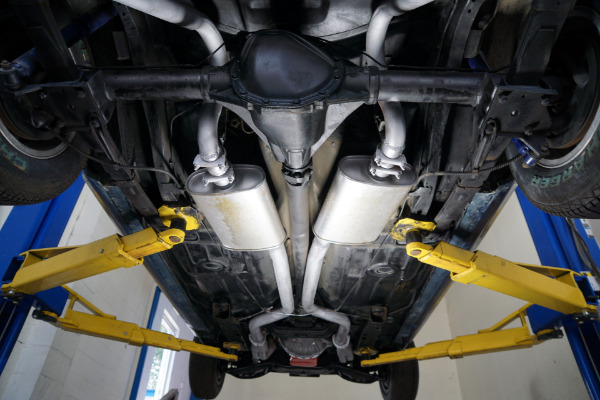 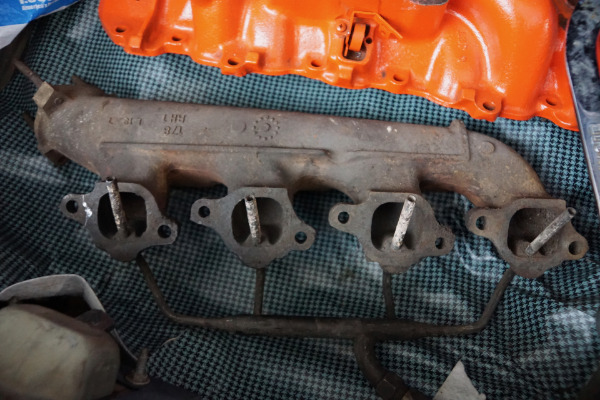 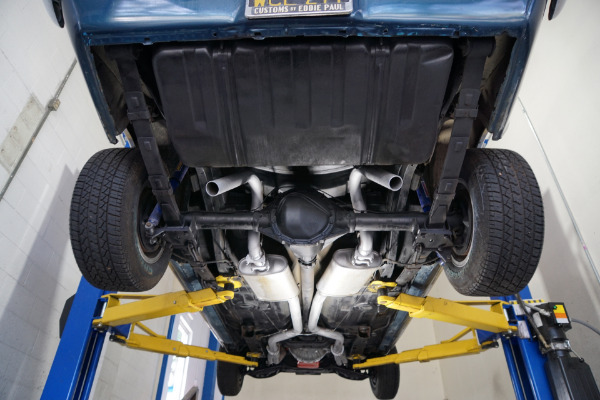 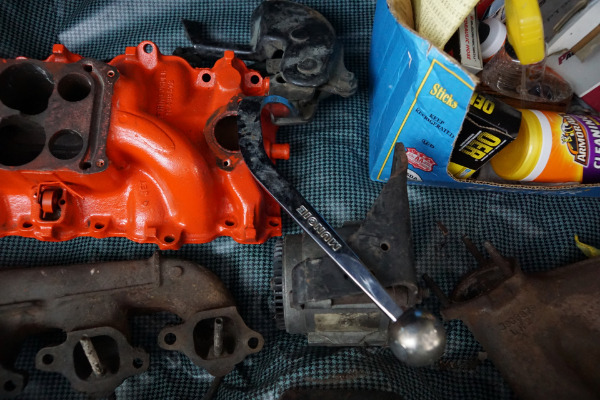 The car is tuned for pump gas and please note that the car's original intake and exhaust manifolds, smog pump, and Muncie shifter are to be found stored in the trunk and will be sold with the car. Only the car's original Rally wheels are missing. 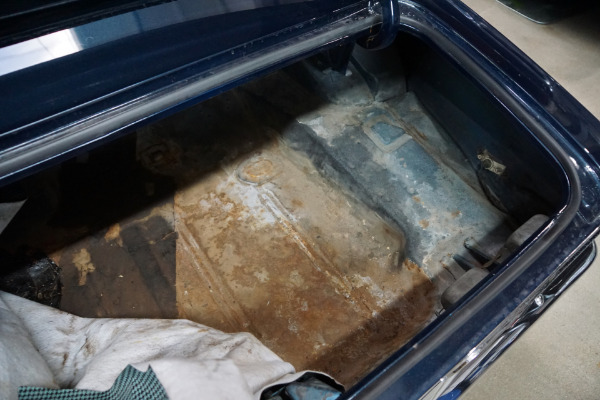 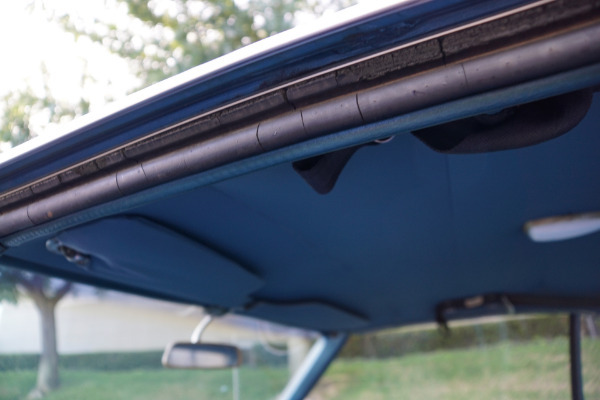 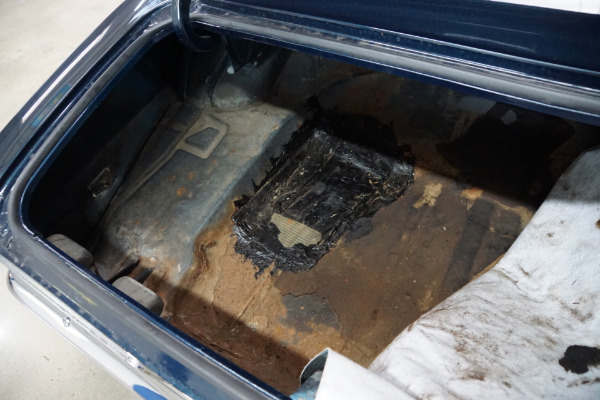 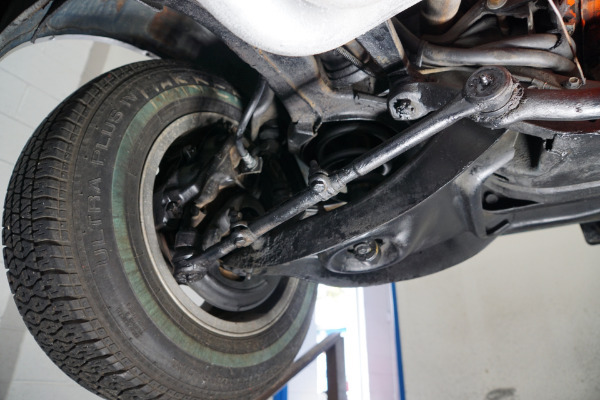 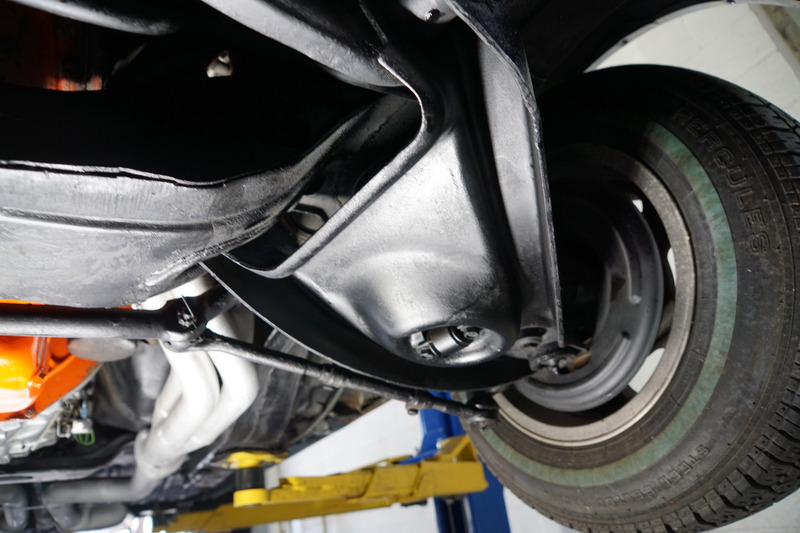 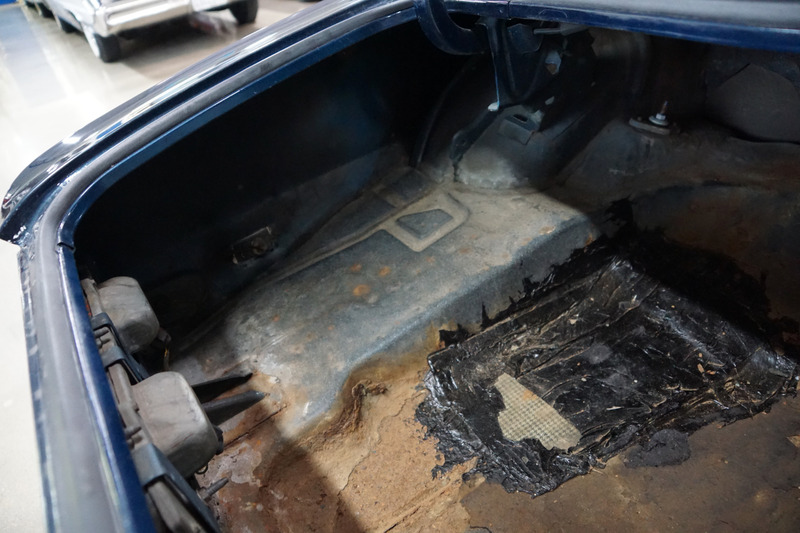 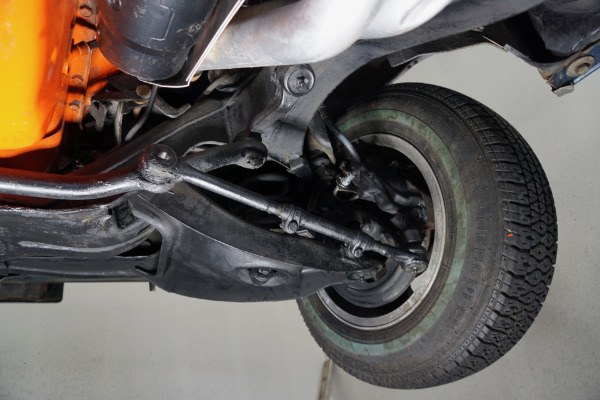 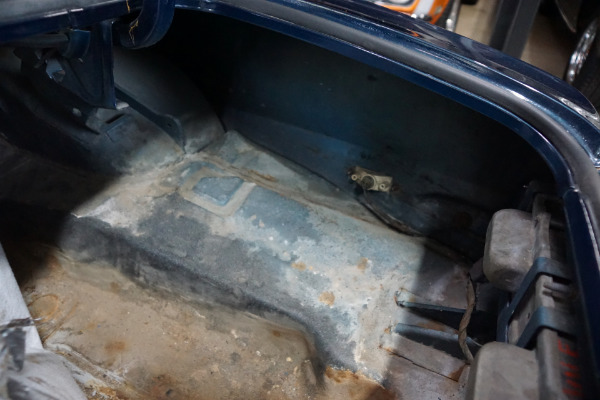 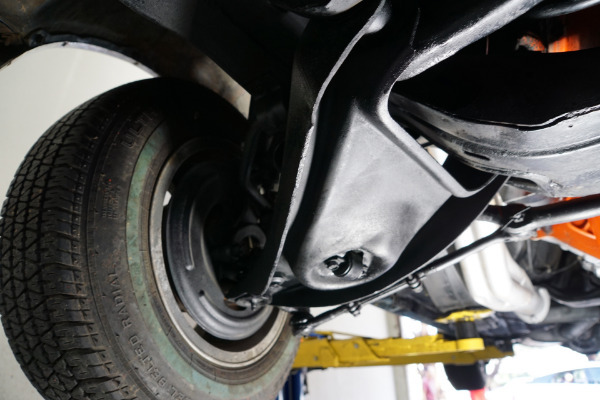 There are no signs of any rust or indeed any accidents, only one small rust patch repair is to found in the trunk, obviously an always garaged and cherished driver, not an abused older muscle car! This car must be seen to be believed and driven to be fully appreciated - the recently rebuilt and rebored engine is extremely strong and responsive with excellent oil pressure and no oil leaks and which sounds absolutely magnificent, the transmission shifts smoothly through the gears and the engine temperature always remains cool. 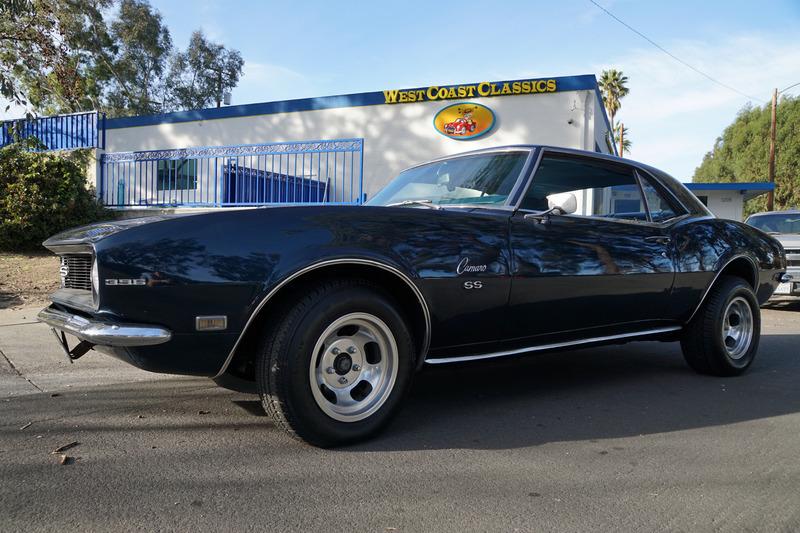 In summary, this must be one of the rarest example's available anywhere of an original southern California car with it's original California 1960's 'Black License Plates' and with all it's original matching #'s components including the engine and transmission and rear end and with only one very careful, mature and knowledgable and mechanically inclined owner since new! 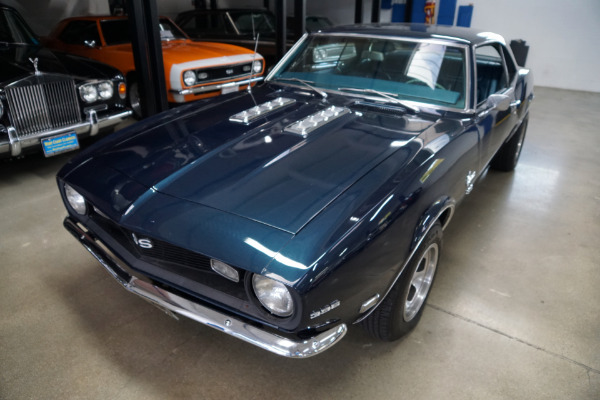 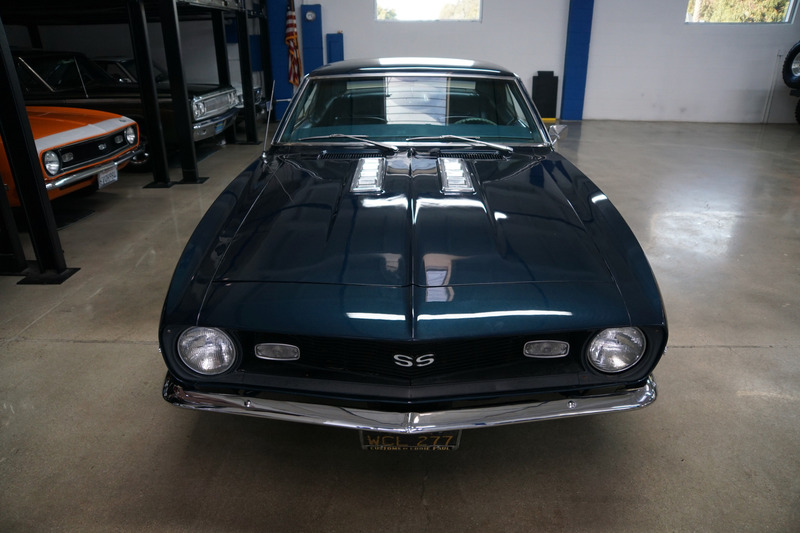 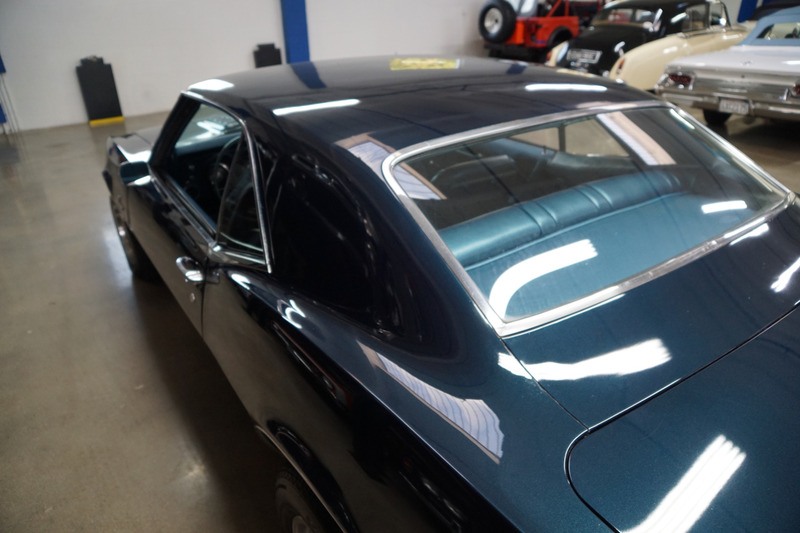 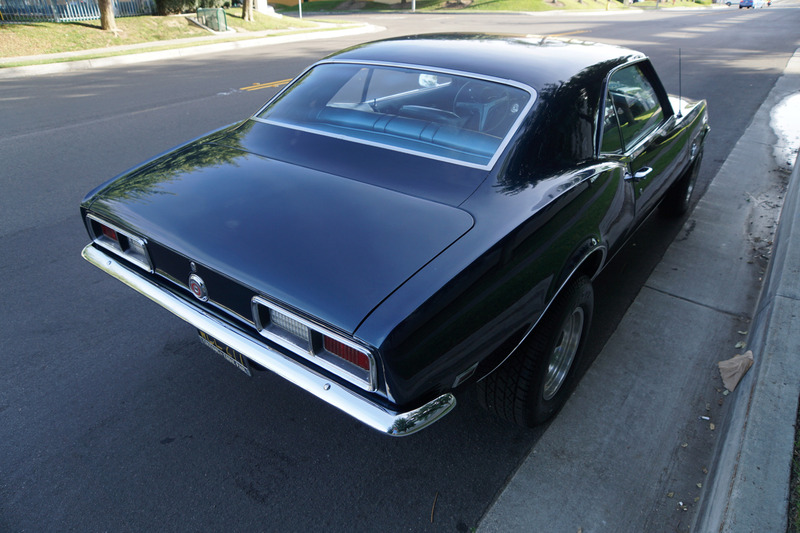 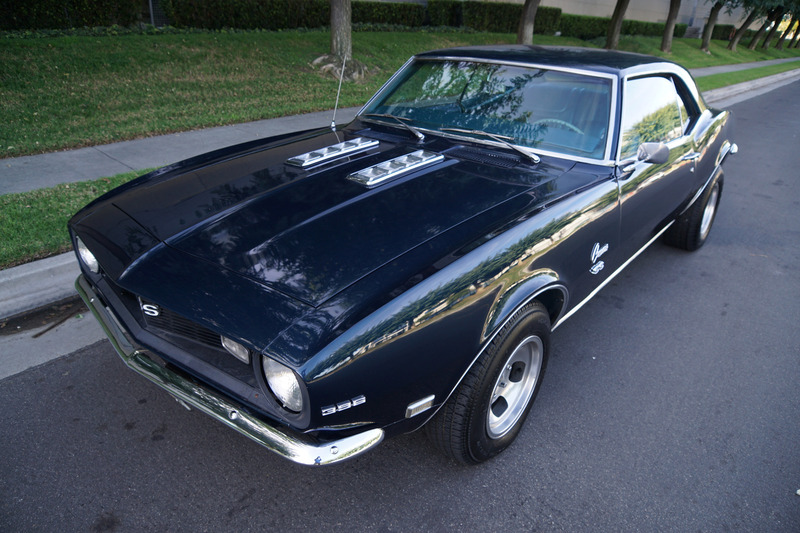 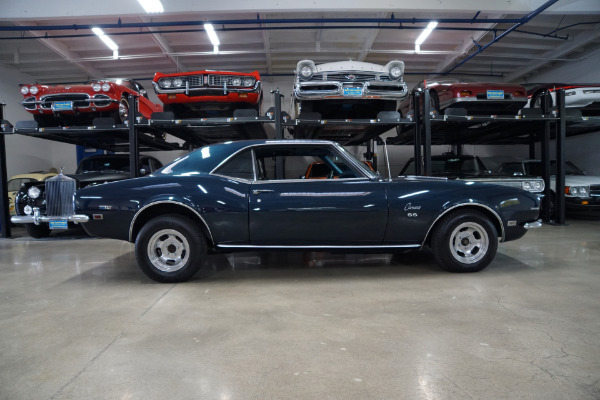 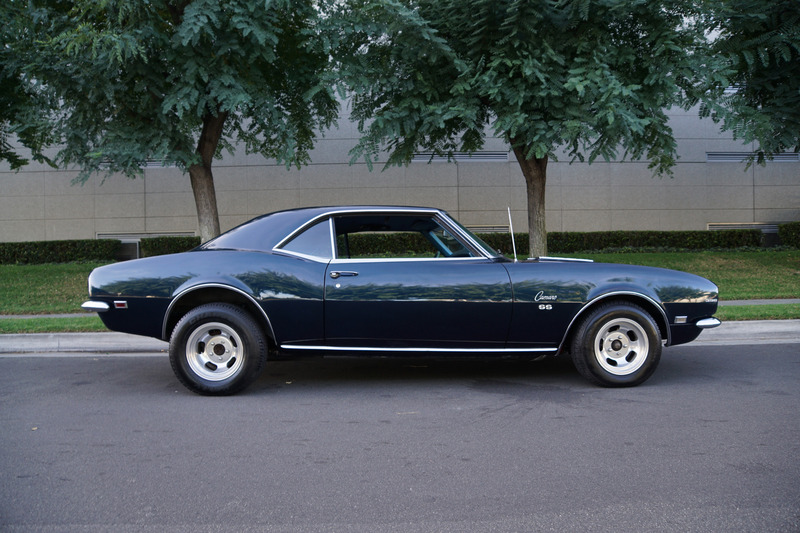 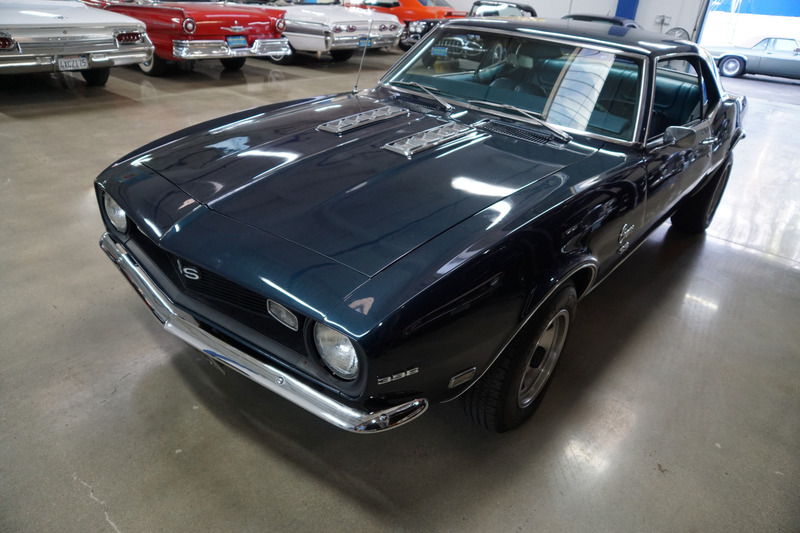 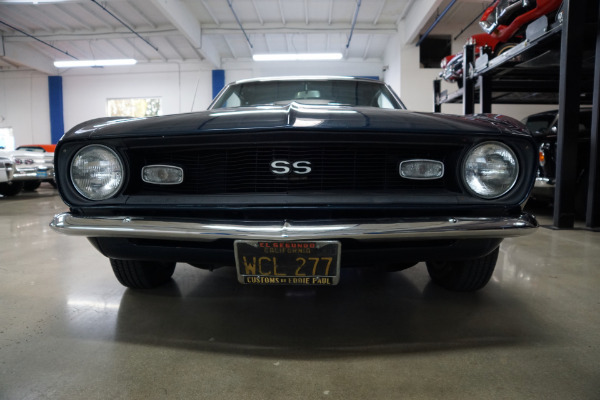 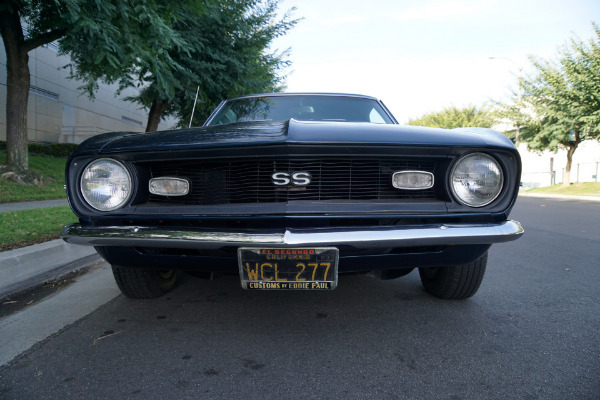 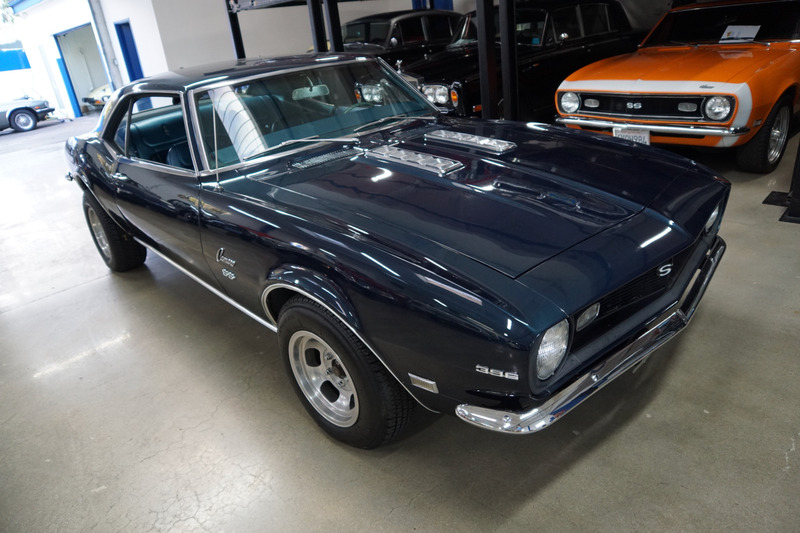 You will look long and hard to find a more original with rock solid ownership history of this highly desirable and collectible muscle car a beautiful 1968 Chevrolet Camaro SS 396/350HP L34 Big Block V8 2 Door Hardtop in rare turn-key ready daily appreciating, daily driving and daily head-turning condition! An all time classic American muscle car that needs little or no introduction!